You'll use a starting toolset to incorporate into your existing workflow, develop future projects, and reduce any dependency on graphics applications for simple projects. 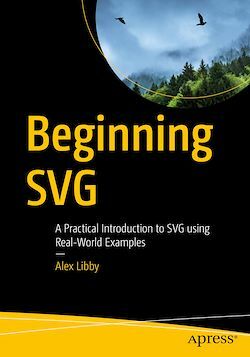 This book is an excellent resource for getting acquainted with creating and manipulating SVG content. We live in an age where speed and simplicity are of the essence. Beginning SVG provides a perfect alternative when creating web-based projects that challenges the norm and encourages you to expand your resources and not resort to what “everyone else uses” (such as Illustrator). You'll discover that there is indeed a different way to achieve the same result. Stop thinking you must always resort to using graphics packages; there is always another way!